Local mental health services have joined forces with parkrun to help raise awareness around mental health, stamp out stigma and share information about suicide prevention. Sussex Partnership NHS Foundation Trust, which provides mental health and learning disability healthcare to people of all ages across Sussex, is teaming up with parkrun - which organise free, weekly timed 5K runs at locations all around the world – at three local events on Saturday 2 February 2019 at 9am. Staff from Sussex Partnership will be attending Bognor Regis, Preston Park - Brighton and Eastbourne parkruns to shine the light on mental health and suicide prevention with an aim to start a conversation about the Trust’s Suicide Awareness for Everyone (SAFE) and Say Hello campaign, which aims to raise awareness about the importance of talking about mental health issues and promote suicide awareness. 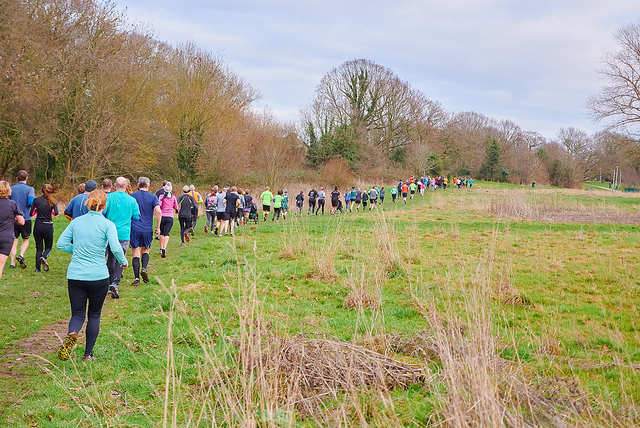 Karen Hoskin, East Sussex Care Delivery Service Deputy Director, said: “We know there are many benefits of running/ walking/volunteering and research has shown the impact parkrun can have on your mental health. We also know that people with mental health difficulties are more likely to die 20 years younger than the general population and that they are among the most socially excluded people in the UK, and social exclusion is associated with poorer physical and psychological health. “parkrun has set up a PROVE project (parkrun; running or volunteering for everyone) to make parkrun more welcoming and accessible for people with disabilities or long term health conditions. “We aim to attend parkrun to share information promote awareness and share resources. Many people across the country feel the benefits of taking park in parkrun.